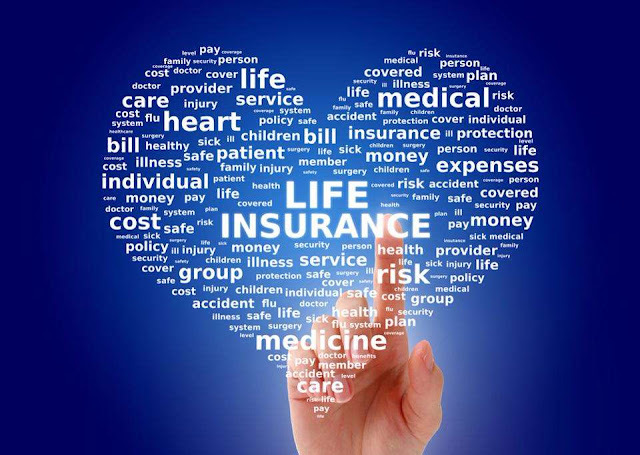 Life insurance is a very popular type of insurance in the world. It originally came from the protection of human life, then expanded into many forms such as property insurance, loss insurance, travel insurance, etc. All bring a source of profit to the buyer. Of course, insurance is voluntary, not compulsory for any individual or group. However, in many ways, you should buy yourself a type of insurance. In this post, we will give the best insurance company rankings for your reference. Metlife is one of the world's largest insurance providers headquartered in New York, USA. With a 140-year-old foundation, they have provided insurance services for more than 100 million customers in over 60 different countries around the world. The corporation offers a lot of varied options such as term, permanent, universal life, survivorship plans, etc. Besides, the company supplies the selection of term life insurance with the simplified way, which means that customers don’t need to get the medical exam for underwriting. It would be a good option for people having health diseases or scaring needles, and they don’t want to experience a blood test for underwriting needs. 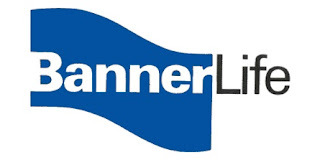 Banner life is one of the leading insurers in the US. Putting into practice in 1949, it owns nearly $415 billion in premiums in force. Standing in the midst of a competitive insurance market, Banner always has its own advantages to stand out more than ever. Indeed, they are always ranked first in product reviews like getting an A+ from A.M. Best. It is not surprising that customers are satisfied with this insurance company because of the flexibility of the payment options as well as the term limits for each type of insurance. Not only that, Banner Life is ready to meet every age of customers, up to 95. In terms of looking for the right policies, the clients are concerned about customization, and Banner life is a great choice for this. For a short-term policy, you can opt smaller premiums and vice versa. Founded in 1845, the insurer is the first-rate mutual life insurer in the United States and around the world. They have more than 12,000 employees and owns assets of over $15 billion. New York Life and their branches provide life insurance, retirement income, investment, and long-term care insurance. Their investment division supplies asset management and retirement planning services. Others offer a variety of stock products, services, and mutual funds. It is one of the largest life insurance companies in the United States, with subsidiaries providing insurance services, investment management and other financial products and services for both retail and corporate clients throughout the US and over 30 other countries. The one uses a computer-based insurance system to approve valid life insurance policies up to $250,000. The company said this process takes about 15 minutes. MassMutual is a prominent mutual life insurance company working for the benefit of their members and policyholders. They offer a variety of financial products and services including life, disability income, long-term care insurance, annuity funds, retirement plans, and other entitlements. For the first time in their history, MassMutual has topped the global life insurance business portfolio, according to global research and consulting firm LIMRA. The experience of 34% growth in 2016 compared to an industry average of 9% marks more than a decade of market growth for the whole life insurance services. Importantly, the company recognized by FORTUNE in 2017 is a leader in the innovation category and using MassMutual's state-of-the-art technology to connect and serve better than others. AIG is the world's foremost insurer in the financial services and insurance industry, serving more than 88 million customers in more than 130 countries and territories around the world. So far, the company has built up a considerable reputation in the insurance market and financial service industry. In the US, AIG is the largest commercial and industrial insurer. The tasks serve individuals, organizations, and businesses in all areas of property insurance, liability insurance with a widespread network that others don't have. They also include financial services and asset management, special financial products, stock trading, personal finance, fund management, real estate management and retirement savings product. American General is a section of AIG. It gives lots of options for life policies, including term insurance, whole life, variable, and indexed universal life policy coverage. What’s more, because most of them are able to make a considerable sum of cash value, the plans will support the policy owners to add to pension income. This is a branch of Manulife Financial – a Canadian-based leading financial group. This one operates in many countries and territories in Asia, Canada and the US. John Hancock is the US's leading company in the portfolio of insurance products based on asset investment in annuities, retirement insurance, flexible premium products, and mutual funds. Since 2008, their flexible premium payment products have been the optimum choice for the needs of planning real estate investment, business, and retirement in a dedicated consumer segment in the US market. With more than 6,300 employees, John Hancock's top products focus on protecting the finances of customers at all stages of their lives. Manulife distributes its products primarily through financial advisers and the John Hancock Financial Network - a network of independent companies across the country. The company has worked as a division of Aegon N.V, Dutch insurance group, since 1999. In addition to life insurance, this one launches long-term care insurance, pensions plan, or annuities, mutual funds. The company made a contribution of $4.38 billion to the premium written in the US in 2014, holding around 3% of market share. Today, Transamerica has become a big financial and insurance provider all over the country. Their products only offer for people who are up to 58 years old. In addition, their name always stands on the constantly high ratings with at least AA from many rating agents. Like others, Transamerica is rich in catering for a nationwide network of plans such as term, whole life, universal, variable insurances, associated with accidental death as well as final expense coverage. Thanks to the easier dependable policy at right rates, it is not difficult for you to look for one. Voya is formerly considered as ING which is a very reliable insurance and a financial contender in the industry today. 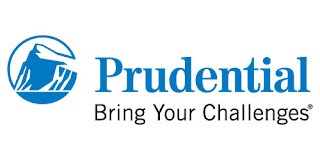 With the contribution of premier insurance and retirement companies, they cater for approximately 13 million clients and businesses in the United States. Currently, the insurer has roughly possessed total assets of $519 billion. So, it is regarded as one of the most believable retirement plan providers relied on the number of plans, customers, and assets. Coming to Voya, there is a large number of diverse policy options, including term life, universal life, variable universal life, survivorship life, or indexed universal life. The choice depends on yours. Another great feature is that they have a variety of terms to choose from. If you want coverage for the next five years, but can then switch to universal policy to choose a 5-year policy, or if you would like to feel secure for a long time, choose a 20-year policy. Premium endowment is one of the best term life ones. Founded in 1889 by the well-known Warren Buffet businessman, Berkshire Hathaway is one of the largest insurance companies in the world. It provides customers with strong, reliable, reputable, and forward-looking values for their most important financial decisions. In addition to investment management and insurance business, they also have penetration into the field of railway transport, finance, electricity, water, energy, manufacturing, and retail services. Currently, Berkshire Hathaway Corporation is providing insurance and reinsurance for property and casualty cases. In order to choose the right and the most optimal life insurance policy, you need to find out information in a lot of different insurers and various products. Consider various factors such as the world brand, financial capacity, financial management ability or the premiums, rights and the contract content to get the product that the best suits your needs and financial coverages. Hopefully, this useful post can help you choose the best life insurance company that meets your goals and conditions. Thank you for reading! 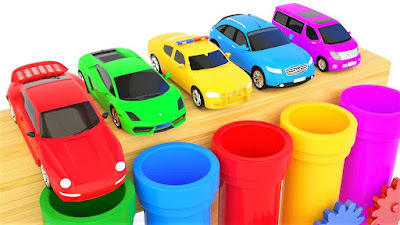 Car Insurance – Everything You Need To Know!